Hi everyone, In this post, we will show you how to successfully root Infinix X571 (Note 4 Pro) which runs on Android 7.0. Rooting android 6.0, 7.0 and above has now become very difficult for many Android users as the traditional rooting technique of one click root is no longer supported by this version of the OS. If you want to know more about one click root like Kingroot, iRoot, one-click root follow the link below. We will be looking at Infinix X571 (Note 4 PRO ) as I have said earlier and the Philz recovery porter for this Infinix is for X571-H5311A-N-170727V180 Build number with MT6753 powered phone running on Android 7 (Nougat). 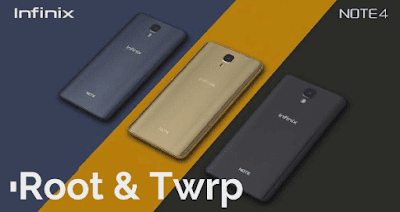 The question how to root Infinix x571 ( note 4 pro) will be answered in this article.